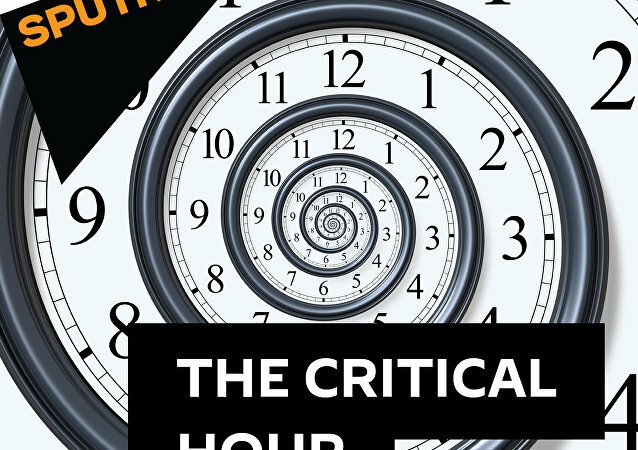 On this episode of The Critical Hour, Dr. Wilmer Leon is joined by William Binney, former highly placed intelligence official with the United States National Security Agency turned whistle-blower; and Ray McGovern, former CIA analyst. On this episode of The Critical Hour, Dr. Wilmer Leon is joined by Emine Sevin, photo researcher for Culture Trip. On this episode of The Critical Hour, Dr. Wilmer is joined by Helena Olea, human rights adviser for Alianza Americas. Dr. Wilmer Leon is joined by Jim Kavanagh, political analyst and commentator and editor of The Polemicist; Michelle Hudgins, communications strategist, producer, media consultant and writer; and Caleb Maupin, journalist and political analyst who focuses his coverage on US foreign policy and the global system of monopoly capitalism and imperialism. On this episode of The Critical Hour, Dr. Wilmer Leon is joined by Melanie Campbell, executive director and chief executive officer of the National Coalition on Black Civic Participation, a nonpartisan civic engagement organization based in Washington, DC. On this episode of The Critical Hour, Dr. Wilmer Leon is joined by Teri Mattson from the Campaign To End US And Canadian Sanctions Against Venezuela. On this episode of The Critical Hour, Dr. Wilmer Leon is joined by Greg Palast, author and award-winning investigative reporter featured in The Guardian, Nation Magazine, Rolling Stone Magazine, BBC and other high profile media outlets. On this episode of The Critical Hour, Dr. Wilmer Leon is joined Ricardo Vaz, political analyst and editor at venezuelanalysis.com. On this episode of The Critical Hour, Dr. Wilmer Leon is joined by Dr. Lenneal Henderson, adjunct professor of government at the College of William and Mary and Assistant Dean for Civic Engagement and International Affairs at the University of Baltimore.